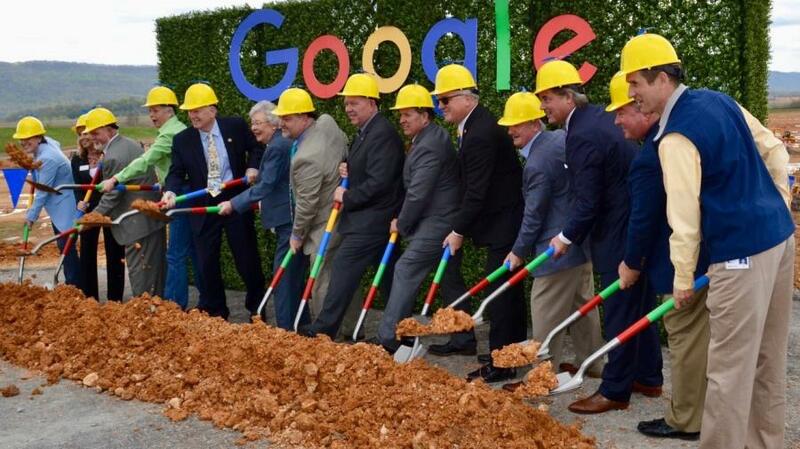 Officials break ground for Google's new data center in Bridgeport, Ala.
Crews recently broke ground on Google's latest data center in Bridgeport, Ala. Officials expect the $600 million project to create up to 100 jobs in Jackson County, Area Development reported. Plans for the project were first formally announced in June 2015, Made in Alabama reported. When complete, the facility will be the state's first large-scale data center, and is expected to bring a new aspect to the area's local economy, which is currently focused on manufacturing, Made in Alabama reported. The center will take over 360 acres that sit adjacent to the Widows Creek coal-fired power plant, which was decommissioned by the Tennessee Valley Authority (TVA) in 2015. TVA is currently working with Google to provide the company with renewable energy that will match the new data center's power usage, Made in Alabama reported. According to Google, the facility will also incorporate energy-efficient elements. According to Google, the company chose the location in Jackson County because it provided both energy infrastructure and land that was ready to be built on, Made in America reported. Additionally, Google said that state and local officials worked with the company to establish a partnership and help the project move forward. Google said at the groundbreaking that it plans to give back to the community by donating $100,000 to the Jackson County School District to support STEM programs for local students.